Matil­da is a lit­tle girl with aston­ish­ing wit, intel­li­gence and psy­choki­net­ic pow­ers. She’s unloved by her cru­el par­ents and is the bane of head­mistress, Miss Trunch­bull — Matilda’s courage and clev­er­ness just might save the day. Packed with high-ener­gy dance num­bers, catchy songs and an unfor­get­table gang of “revolt­ing” chil­dren, Matil­da is a joy­ous girl pow­er romp. 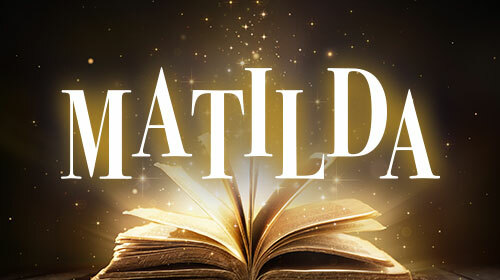 Matil­da is pre­sent­ed through spe­cial arrange­ment with Music The­atre Inter­na­tion­al (MTI).